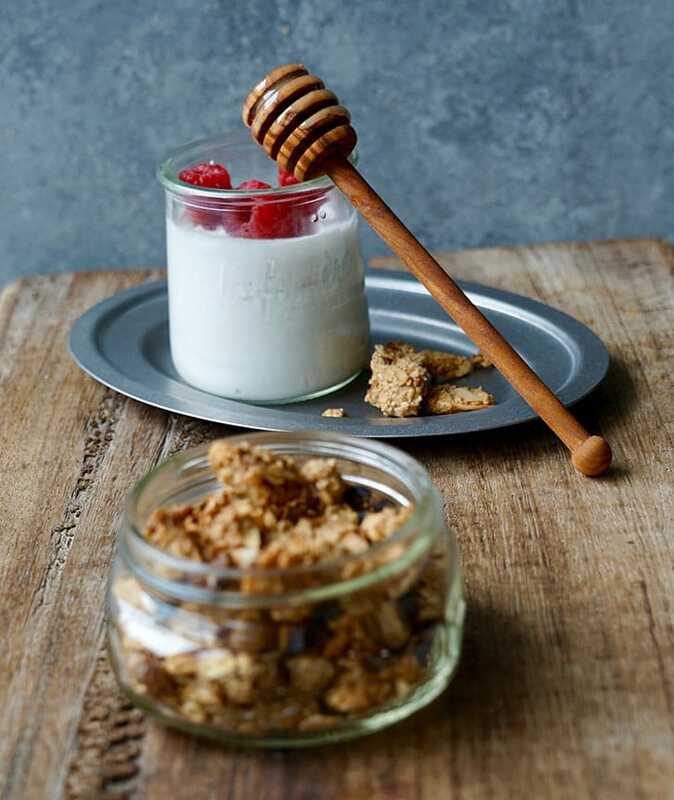 This granola is literally the granola of my dreams, a go to recipe for making any version, just substitute any spice, add dried fruit, swap nuts or seeds. Preheat oven to 325°F. Mix all ingredients together in a medium size mixing bowl. Variations: once it has baked and it’s still hot: add ⅓ cup chopped dates. Fig and pumpkin version: add ⅓ cup oats + substitute pumpkin pie spice for the cinnamon. After baking add black mission figs. For a chocolate chip version: add ½ cup 71-85 % chocolate chunks. Serve with coconut yogurt, date syrup or molasses syrup for vegan options or honey for a non vegan option. Or serve on a smoothie bowl (I served mine on top of a sweet potato smoothie, garnished with coconut yogurt, frozen cherry and oh my! ).